Armchair travelling, anyone? If you can't visit Israel, then enjoy hearing recent travelers recount their insights into Biblical sites they visited. Then return to the book of Romans for a final wrap-up and hear about the people who sent greetings to the church in Rome. See the many references Paul made to the grace of God. Appreciate the majestic benediction that glorifies God the Father, His magnificent attributes, and all He has done for us. If there were a vitamin that would make us wiser, more content, and have a more fulfilling life, it would probably be the best-selling vitamin of all times. Listen to this lesson to learn that instead of swallowing a pill, making a habit of studying and applying what you learn in the Bible can do that and more for those who accept Christ as their Savior. 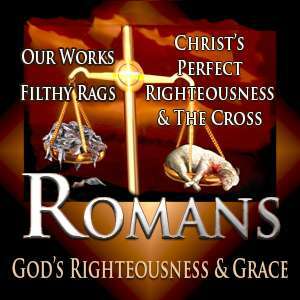 Take this opportunity to review the entire book of Romans and see what major verses should be noted in each section. Learn more about two attributes of God: Righteousness and Justice. See the significance of Baptism by the Holy Spirit and the difference between inability and total depravity. Find yourself responding to God's Word as you daily apply its truths to the everyday events of your life.